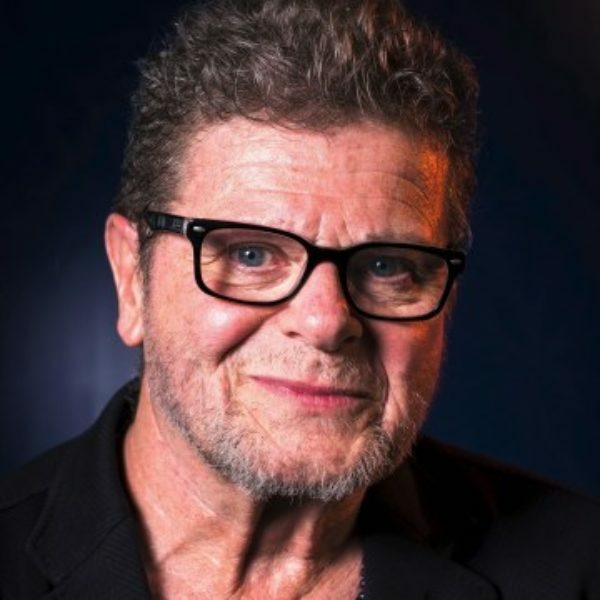 Gustavo Santaolalla has composed film scores for over a dozen features including Amores Perros, The Motorcycle Diaries, Brokeback Mountain, Babel, On the Road, and Wild Tales. He also composed the opening score for the hit Netflix series Making a Murderer. His latest solo album is Raconto. In 2015 he was inducted into the Latin Songwriters Hall of Fame. Lily Percy, host: Hello, movie friends. I’m Lily Percy, and I’ll be your guide this week as I talk to the Academy Award-winning composer Gustavo Santaolalla about the movie that changed his life, Wings of Desire. If you’ve seen the movie, you’ll soon hear and understand the connections between the movie and Gustavo’s own work. But if you haven’t, don’t worry. We’ll provide all the details you need. What if angels really did live and walk amongst us? What if they were involved in our everyday lives — they listen to us; they comfort us; they even put their hands on our shoulders in times of trouble — but they don’t actually show themselves to us? We see a few angels all throughout Berlin in Wings of Desire, but the principal one is Damiel. He’s an angel who has spent all of his life watching humanity and loves humanity. He loves every single mundane detail that makes us human beings. As he’s watching the various characters through the city of Berlin, Damiel realizes that he is no longer satisfied with just watching. He wants to experience what human beings experience. He wants to know what heartbreak is, what love is truly in a physical body, and he decides to fall to earth and become a human man. Wings of Desire is incredibly poetic. In many ways, the movie is a metaphor upon a metaphor upon a metaphor. 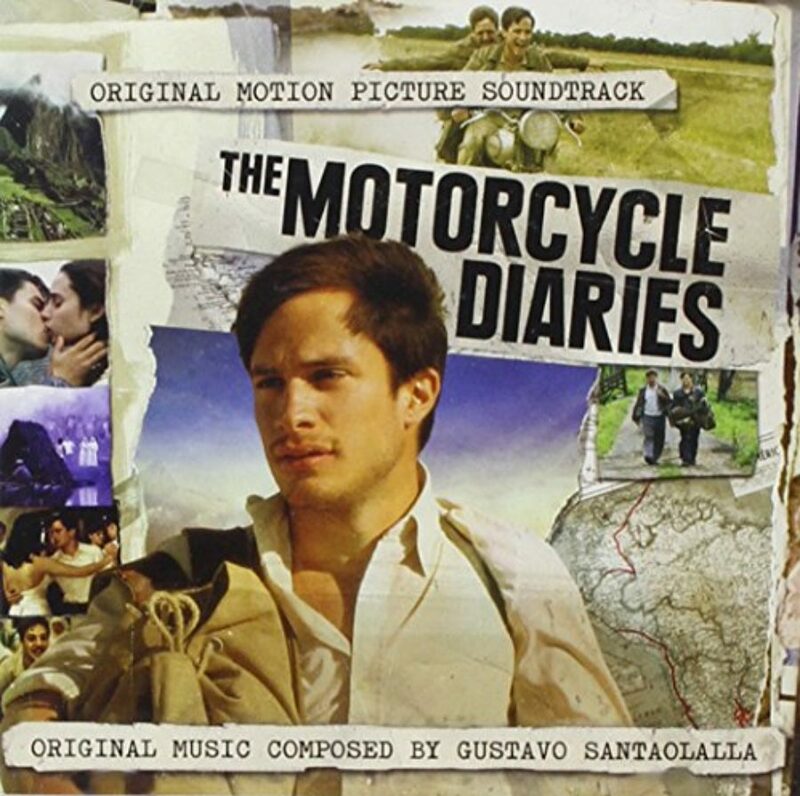 It’s no surprise to me, when I think about the movie, that it influenced composer Gustavo Santaolalla so much. Gustavo found himself, when he saw the movie in the mid-80s, asking himself questions about his own mortality, about his own faith, about angels. But he also found himself deeply influenced by the silence and poetry of the movie. That’s clear in the music he composes — music for movies like The Motorcycle Diaries, Brokeback Mountain, and Babel. I spoke with Gustavo at a live This Movie Changed Me interview in Winter Park, Florida. Ms. Percy: I just want to start at the beginning of your life with movies. I just wonder: As a little kid growing up in Argentina, what role did movies play in your life? Gustavo Santaolalla: I was always very attracted to the visual world, ever since I was a kid. I started making records at a very early age. I started when I was 16 years old — I signed my first recording contract with RCA. So I was going to high school, but I was also making records. When I finished high school, I wanted to study cinema. But I thought, well, I have my band already, so I had this music thing going on; now, I wanted to study cinema. My parents weren’t that crazy about it. My parents always were very supportive with the music. Ms. Percy: So there’s a question that I’ve been asking, every time that I do this interview. 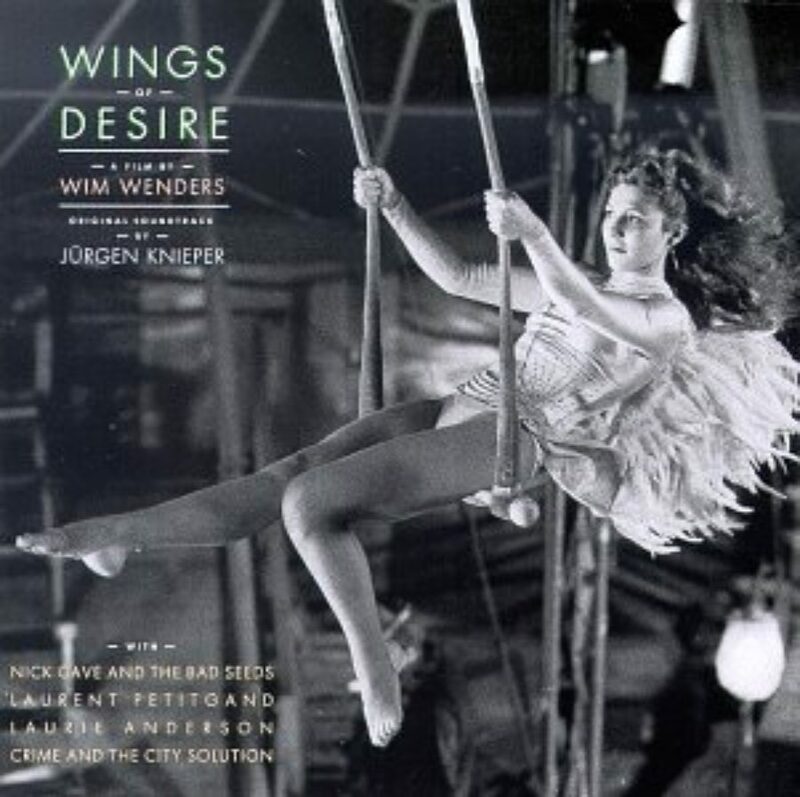 It’s to take you back to the first time that you saw Wings of Desire. Think about where you were, how old you were, all the feelings. I’ll just interrupt you again, in ten seconds. Ms. Percy: What memories came up for you right then? Ms. Percy: Yes, please do. Mr. Santaolalla: I was raised Catholic. Ms. Percy: You wanted to be a priest, at a certain point in your life. Mr. Santaolalla: You know what I mean? I didn’t put it in those words, but the concept was, perhaps the devil works for God. Mr. Santaolalla: And that did it. They called my parents, and there was even talk about doing some exorcise or something, doing some praying and stuff. And my dad, who was an unbelievable man, he told me, “Listen, you have to feel this. If you don’t feel this, you shouldn’t do it.” The subject was never brought back again in my house. They continued going to church, and I just took another road — still of spiritual search, but just another road. Ms. Percy: It’s repeated throughout the movie. Mr. Santaolalla: …very important for me, which is the concept of childhood and the concept of innocence, which I try to bring, also, to the music that I do — something that I find very precious and something that we also, always, as adults and as we grow up, we’re always in danger of losing it, because we become more experienced, or we become more knowledgeable. But not really for me. One of the things that I always think about in my growing is that I’d like not to think that every phase in my life, I leave phases behind. In my country, we said “Yo ya supere eso” — “Already, I’m over that.” Now I’m in another phase of my life. And I always thought that it was better to try to keep on adding to your life. So let’s say you have the child, and then you have the teen. Ms. Percy: The teenager, uh-huh. Mr. Santaolalla: And then you have the young man. But you carry these people with you. Ms. Percy: You carry the child and the teenager with you. Mr. Santaolalla: And hopefully I still have that kid, that teenager, that young man, and that man. And obviously, it takes work to keep that alive and fresh. But I believe, also, very much in the fruits of inexperience. The fruits of inexperience will lead you to places that experience will never lead you. So inexperience is, for me, associated also with innocence, with a level of innocence. And the fact that, in the movie, they’re always going back to remark that thing about when a child was a child and will think all these questions about: Am I me? Or, why me is not you? These questions that he poses himself: Is this, under the sun, all an illusion? — all these things that actually are questions that I still pose to myself. Ms. Percy: When I first heard that you wanted to talk about this movie, I was not surprised at all, considering your work in music, which we will talk about. But I did also wonder if you saw parallels — the film is set in the ’80s in divided Berlin. Mr. Santaolalla: Yes; yes, of course. Ms. Percy: And I wonder if you saw parallels even to Argentina, during the Dirty War — this tension that was going on in Argentina at the time that you were living there. And then I also wondered about, being Catholic, what angels represent to you, because angels were — at least, for me, growing up Colombian, always around you. Your guardian angel was a very real thing. Mr. Santaolalla: Correct. Well, it’s a concept, an idea, and for me, a reality, the existence of — once again, we can call it whatever you want to call it, but “angel” is a good name — but that there’s certainly energies that somehow protect us, and that, somehow, each one of us has particular energies that take care of us. We know now — and that’s one of the fascinating things about what is happening now with science, is that it is connecting, finally, to the world of spirituality, and how they’re coming very, very, very close, extremely close — as it always, I thought, should be. So we know that there are parallel universes. It’s in that realm that I feel, of course, the existence of angels. And obviously, when you are in situations like the ones we lived in Argentina, or in lots of situations of danger — you’re afraid to go on the street, or — it was very tough, living in Argentina, and that resulted in 30,000 people disappeared at the hands of the government. That’s one of the main reasons why I had to leave Argentina in 1978. So yes, in many circumstances in Argentina, I think there were a few angels that took care of me and of a lot of people. 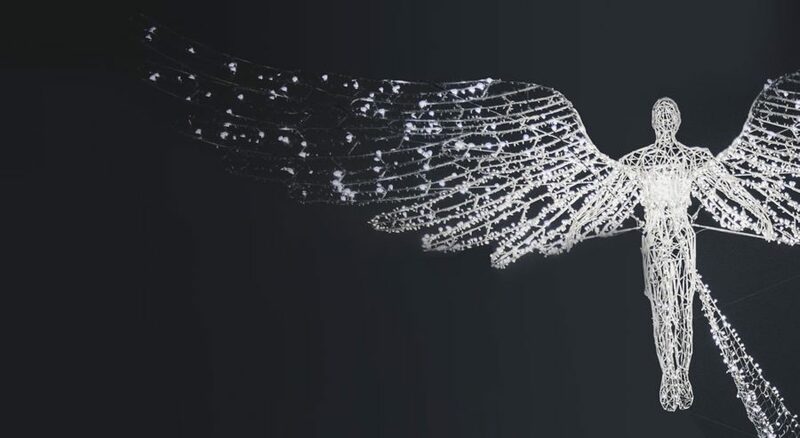 Ms. Percy: It’s one of the beautiful things that the movie shows us, the idea of angels not intervening, but supporting, and then just being there. One of my favorite scenes in the movie is this library scene where — I don’t know if you remember, Gustavo, but it’s this beautiful sequence, and it’s one of the few times that music actually comes into a scene in the movie. The movie doesn’t use music that often. Mr. Santaolalla: Not that much, but it’s very well used. Ms. Percy: But it’s very well used in that scene. And it’s a scene where you see all these angels walking next to people in the library and listening to them and being next to them. Mr. Santaolalla: Absolutely. It’s beautiful. Ms. Percy: It’s a beautiful scene. Mr. Santaolalla: It’s so poetic, the movie, too. The concept of the angels just getting closer with their ears to listen to what the people are thinking — it’s beautiful, beautiful. Ms. Percy: I think about that scene, and I think about it in relation to what you do with your own music in film. And I wonder if, maybe even unconsciously, watching that movie in the ’80s affected the way that you started to compose for movies because one of the things that I love about your work in movies is that you don’t overuse music. In fact, you pride yourself on being very specific about how you use music. And there was actually a way that you’ve described your work in movies as “minimalist, heartfelt, and full of space and air.” And I just wonder, can you talk a little bit about that, especially “space and air”? What does that mean? Mr. Santaolalla: Well, one of the things that is amazing is that now — just reading, I don’t really understand anything, but I try to read and learn more about quantum and all that. Ms. Percy: [laughs] You do understand; you do. Mr. Santaolalla: Quantum is that — as you know, in the atoms, most of what conforms an atom is air, is nothingness. Nothing. They say that if we get all the atoms on Earth, the people and everything — if we took all the air, everything — we could be able to condense everything in an apple. So I think that space, which I associate, also, with silence, is precious because it also frames existence. That silence and that space is what actually puts the frame to what exists. 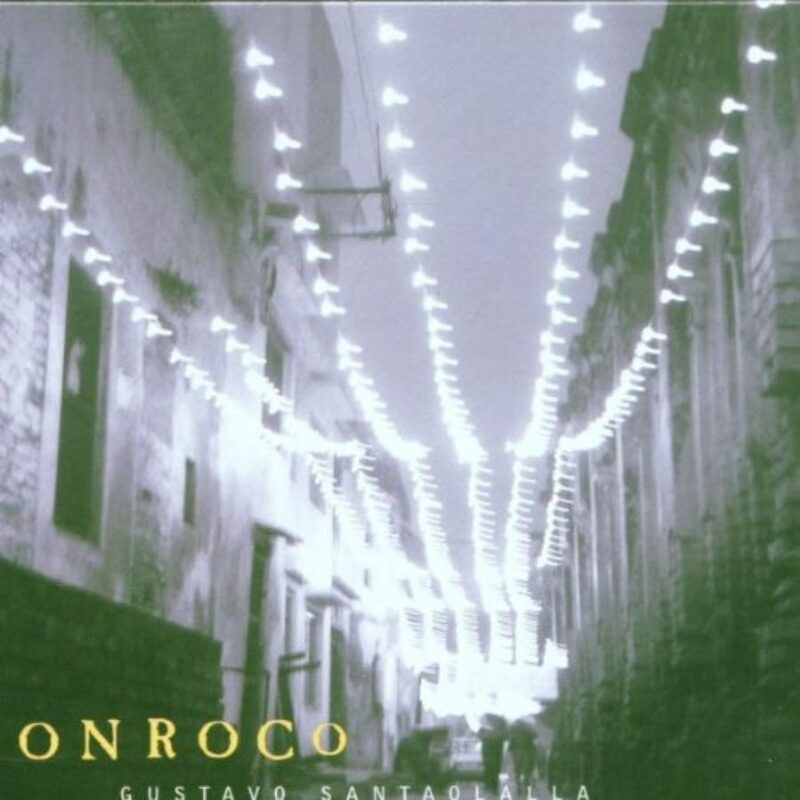 Mr. Santaolalla: One of the things that I do in my limited ways that I express myself is, I have a technique when I play the ronroco that actually involves the use of many notes played very fast at the same time. But they are played in such a way, in such a form, that actually, after a while, it becomes like silence. Ms. Percy: Because of the repetition? Mr. Santaolalla: Because of the repetition and because it has this sort of hypnotic feel to it, that actually, it becomes like silence. So it’s funny, but it can be done. Ms. Percy: Around what point did that become clear to you? 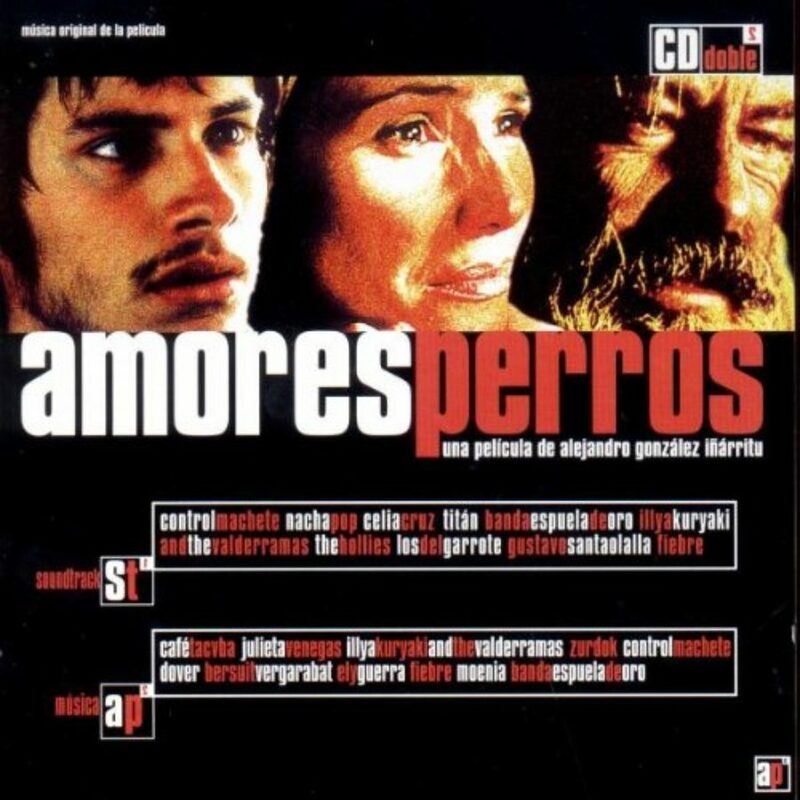 Because as you were talking, I think about the first film score that I really heard, Amores Perros. And it’s very clear, in the theme of that movie — there’s so much silence in between the notes in Amores Perros. Ms. Percy: Brokeback Mountain, yeah. Mr. Santaolalla: So they sent me a script. I read the script, and I loved it. So I went back to Los Angeles, and I started working on it. And 20 days later, I sent what became the music of the movie. 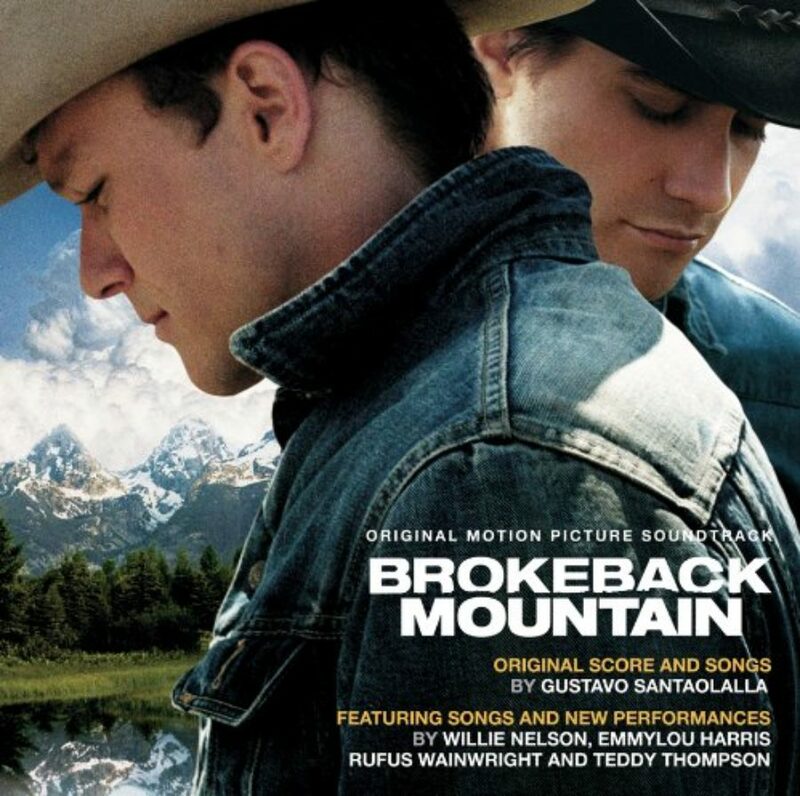 Because I did all the music before the movie was shot, for Brokeback Mountain. Ms. Percy: That’s one of the things that amazes me, every time that I think of that. You didn’t see the images at all. Mr. Santaolalla: Yeah, but that’s another story. That’s a great, great story too. Ms. Percy: I hope you’re enjoying my live conversation with Gustavo on Wings of Desire. If you haven’t seen it, we’d love to give you the gift of watching it. Be the first person to email us at tmcm@onbeing.org about the movie, and we’ll be happy to send you our own Blu-ray copy — that’s right only Blu-ray. Sorry DVD friends. Once again, that’s tmcm@onbeing.org, and thanks for helping us expand our movie-loving empire. Mr. Santaolalla: Where space ends — exactly. Mr. Santaolalla: Well, no, because they’re all there: why I’m here and not there, why am I me and why not you, when did time begin, and where does space end? Isn’t life under the sun just a dream? Is everything an illusion of a world in front of a world? Does evil exist? Connecting to — are there people that are really evil? How can it be that this me that I am wasn’t me before I existed — and that someday, this me that I am will no longer be me? Ms. Percy: That’s one you could just think about at every stage of your life. Mr. Santaolalla: Yes, but for example, there are things that are said in the movie: like, for example, when he says, “Time heals all.” And that’s something that my father used to tell me: “Time is the great equalizer.” He used to say it equalizes, time, which I didn’t, at the time, have the space yet to understand it, really. But of course, I certainly understand it profoundly now. I like, also, when he asks himself, “Should I give up?” And one of the things that I also loved is this moment in which he said: “If we lose the storytellers, we lose the inspiration for our childhood.” And this connects me also with the thing that I was telling about childhood and innocence, which takes me, also, to the music. One of the things that I love, is to play instruments that I don’t know how to play. First of all, there is the fascination of something totally new and unknown — the curiosity, which is something so important for me in life, to be curious. So the fact that not knowing an instrument will make me do very minimalistic things, because I won’t be able to do something like eximio player. Then the other factor which I love is precisely the innocence that you have in front of something like that. And the element of danger, which I also love — I think it’s so important — that is also so present in childhood — that sense of danger. Ms. Percy: It’s uncomfortable, and, as adults, we kind of avoid it. Mr. Santaolalla: But exciting. I think that ends up producing something, or can bring something out artistically that could be very grabbing. You really have to use your heart. You can’t use your brain — you can’t. And so I use that still, today. I grab instruments and try to use it here and there in scores, in anything that I do. Ms. Percy: Approaching it like a child. Ms. Percy: I love that you keep going back to being a child, because something else that comes up in Wings of Desire is, the children know the angels are there. They’re the only ones who can see the angels. Ms. Percy: And it’s fascinating, and I think it’s because they’re the only ones who have that kind of pure heart to see the angels, right? Ms. Percy: So we have to wrap up here, but I do want to ask you one last question, which is — one of my favorite things about movies, and it’s why I love watching movies over and over again at different stages of my life is because they change for you, every time you see them at a different stage in your life. It was different when you saw it in 1987; it’ll be different in 1995 and every time you watch. And I just wonder how Wings of Desire has changed for you, as you’ve continued to go on your journey together. Ms. Percy: Yeah, unconsciously, you were doing it. Mr. Santaolalla: Without knowing how to express it. In a way, I articulated inside of me, everything that is said in the movie, in a much more — I don’t know if it’s profound, but more clear. It’s more clear, even more in focus than when I saw it for the first time. Ms. Percy: It’s like you had — tenías la semilla — you had the seed inside of you, but you were able to then express it. Ms. Percy: Gustavo Santaolalla is an Argentinian musician and film composer behind the music for over a dozen movies including Amores Perros, The Motorcycle Diaries, The Book of Life — and he also won Oscars for Brokeback Mountain and Babel. Before Gustavo’s film scoring days, I discovered him through the amazing Mexican rock band, Café Tacuba, one of my favorite bands, and Latin America’s Radiohead in many ways, which he produced and really helped co-found. Also a special shout out to The Criterion Collection for gifting 75 copies of Wings of Desire to the audience who was present during my conversation with Gustavo. Criterion is the gold standard for curating the defining moments in cinema. I personally have Wes Anderson’s Royal Tenenbaums and Kevin Smith’s Chasing Amy from their collection. And they are amazing, just jam-packed with commentaries and special features and everything that a movie fan loves and needs. On the next This Movie Changed Me, we’re going to be talking with Bright Wall/Dark Room’s senior editor, Lauren Wilford. The movie that changed her is Kill Bill Volume 2, and I can’t wait to share with you how Uma Thurman’s character, The Bride, helped Lauren live with anxiety and make sense of her Evangelical Christian background. This Movie Changed Me is produced by Maia Tarrell, Chris Heagle, Tony Liu, and Kristin Lin, and is an On Being Studios production. Subscribe to us on Apple Podcasts or wherever you find your podcasts. 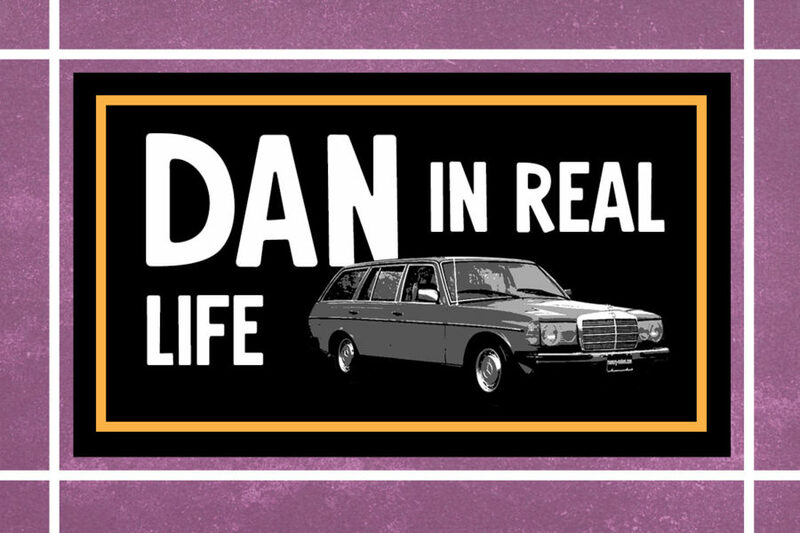 If you have a spare moment, leave us a review because people actually do read them. I’m Lily Percy, do yourself a favor and spend some time with Gustavo Santaoalla’s music and film scores. They’re cinematic escapes.